Here’s the introduction to their piece…. As cannabis growers and retailers struggle with the complex and onerous regulatory scheme governing California’s emerging legal marijuana marketplace, they may be excused for overlooking the requirements of CaliforniaSafe Drinking Water and Toxic Enforcement Act of 1986—more commonly known as Proposition 65. Neither theMedicinal and Adult-Use Cannabis Regulation and Safety Act(MAUCRSA), nor its implementing regulations, reference or suggest that cannabis growers or retailers are subject to Proposition 65. 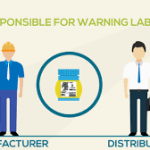 Yet, Proposition 65 plainly applies to cannabis and cannabis products, and ignorance of its requirements can prove costly to fledgling and established cannabis businesses alike.